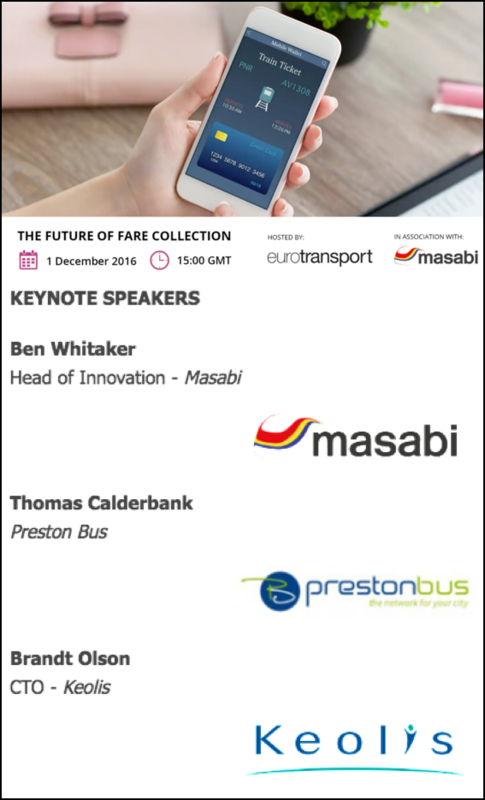 In this webinar our expert panel from Keolis, Preston Bus and Masabi reviews the range of ticketing trends taking place. Is the Future of Ticketing Account Based? EMV Contactless vs Mobile Ticketing. Mobile Ticketing Technologies: Barcode, vs SMS, vs NFC, vs Bluetooth.